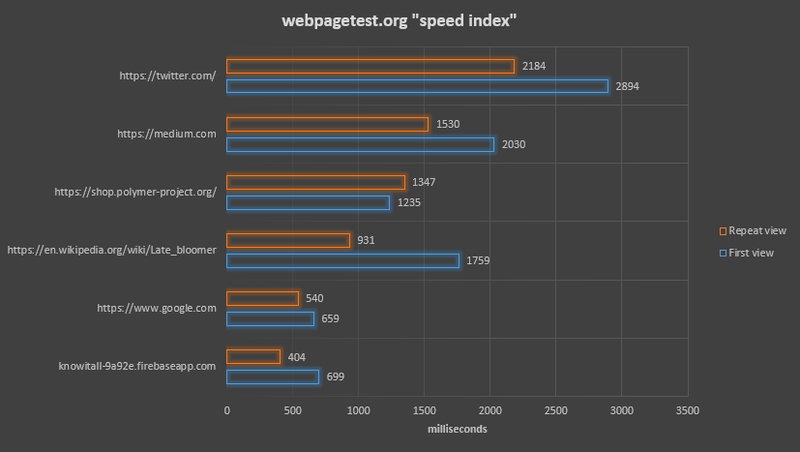 Great writeup by David Gilbertson on creating this super fast loading website. Do mobile first. Like, really do it. For this project I actually did real mobile first. That is, developed the site with it running on a mobile device. I did this first, and when I was satisfied with the UI and the performance, I went about getting it to work on a big computer. You’d be surprised how easy it is to get a fast site to run on a fast machine! When you do your benchmarking, you should use the Chrome DevTools and throttle your CPU and network. I use a 10x CPU slowdown and set the network to “Good 3G”. I know that’s maybe not quite as slow as the average phone, but I don’t want to get so frustrated with slow speeds that I get out of the habit of really doing this.